Thank you for asking for my frank comments regarding the job. I’m in a job where my own performance is often evaluated and as far as I’m concerned this absolutely ensures the best results. I go to the BBB sites as an aid to my decision making when it comes to anything to do with our home. This is how I was pointed in your direction. It is incredibly easy to deal with your company. Russ the estimator arrived on time armed with a portfolio and samples that answered all of our questions. He was professional in every regard…so much so that I called him fifteen minutes or so after he left to book the job. In terms of cost we had a number of quotes and you fell comfortably on the middle which was unexpected as I thought you would be the most expensive based on what it was you were offering. Once a start date was determined your crew arrived as scheduled. They too were professional, courteous and especially careful not to impact our neighbourhood, was appreciated. Lastly you are to be commended on your quick email responses. There are many companies that have email addresses that they often either outright ignore or are extremely late in answering. Thank you for a job well executed. We are thrilled that water no longer pours through our ceiling lighting fixtures when it rains! I’ve been wanting to write to thank you so very much for the fabulous secure roof over my head for a week or two now. Given this ridiculously intense patch of weather we’re in this week I am particularly grateful to you for getting the job done when you did – ahead of the nutty Fall season. The new shingles look lovely and I can’t tell you how much more secure I feel in my own home knowing that the work was done and done well. I am also truly grateful for you taking on the job the way you did. Just wanted to say one last thank you as Sandy comes knocking Hope you and your clients weather the storm well. Take care you two and I’ll see you soon. This letter has been long overdue. I do apologize for taking so long to thank you for a superb roofing job you and your team have provided us. Thank you very much for attending to the roof so promptly and efficiently. Your employee who completed the job was thorough, and took the time to explain the problem and how he would fix it. The roof has been put to the test by the rain we have had since the work was done, and it appears that the repairs are succesful. I would have no hesitation in recommending Toronto Roofing Industries to family and friends, or to total strangers, for that matter. Once again, many thanks, and best wishes. The price quoted was reasonable and competitive. The work site was always clean. The roof looks extraordinary, in part because of Tim’s recommendation that we top the peaks with copper. The work appears to be really well done, from what we can see from third floor windows. At one time, a worker dropped a shingle that cracked the lid of a unique urn. The stone lid was replaced quickly and there is no hint that it is not original. The time frame to completion was accurately assessed.I think the major reason for the incredible results was the fact that Tim visited the site often, and unlike many who make a sale, seemed to feel responsible for the process and the outcome. Also, Tim is very responsive by phone and email when there was an item we wished to discuss.We highly recommend Toronto Roofing Industries. 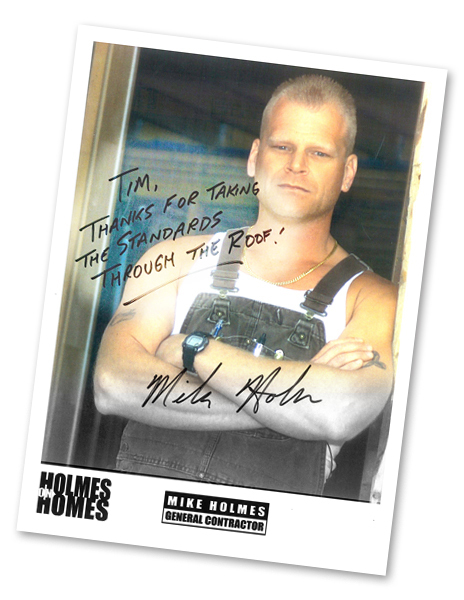 Toronto Roofing Industries is a great company to work with! They are knowledgable, professional and extremely easy to deal with. We reshingled our house in the beaches and the crew was hard working, friendly, and cared about their work. The roof looks great, and the cleanup was spectacular. The grounds looked better when they left than when they came. Toronto Roofing Industries scrores 10 out of 10 in our books. I would recommend them to anyone who want the most professional job on their re-roofing project.